"This girl is a real novelist," wrote Caroline Gordon about Flannery O'Connor upon being asked to review a manuscript of O'Connor's first novel, Wise Blood. "She is already a rare phenomenon: a Catholic novelist with a real dramatic sense, one who relies more on her technique than her piety." This collection of letters and other documents offers the most complete portrait of the relationship between two of the American South's most acclaimed twentieth-century writers: Flannery O'Connor and Caroline Gordon. Gordon (1895-1981) had herself been a prot g e of an important novelist, Ford Madox Ford, before publishing nine novels and three short story collections of her own, most notably, The Forest of the South and Old Red and Other Stories, and she would offer insights and friendship to O'Connor during almost all of O'Connor's career. 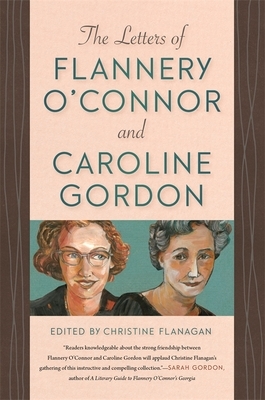 As revealed in this collection of correspondence, Gordon's thirteen-year friendship with O'Connor (1925-64) and the critiques of O'Connor's fiction that she wrote during this time not only fostered each writer's career but occasioned a remarkable series of letters full of insights about the craft of writing. Gordon, a more established writer at the start of their correspondence, acted as a mentor to the younger O'Connor and their letters reveal Gordon's strong hand in shaping some of O'Connor's most acclaimed work, including Wise Blood, "A Good Man Is Hard to Find," and "The Displaced Person." CHRISTINE FLANAGAN is an associate professor of English at the University of the Sciences in Philadelphia.